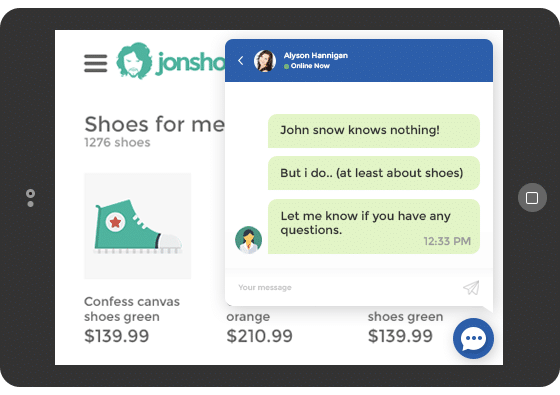 Convert visitors into customers in real-time with this easy to use live chat messenger. 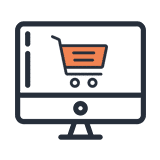 Great for eCommerce support and help desk ticketing systems. Your customers are using chatting apps all day. 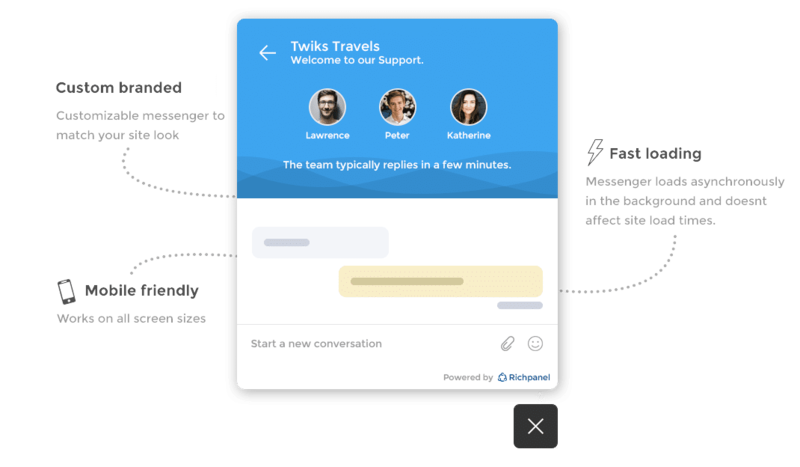 Now they can chat with your team with the same ease. 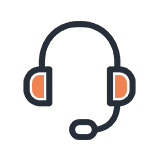 Embed live chat inside your help desk center. Embed live chat on your website in a few clicks. Works on all screen sizes. 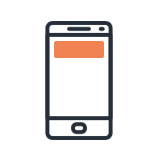 Use our SDK to integrate live chat inside your mobile apps. 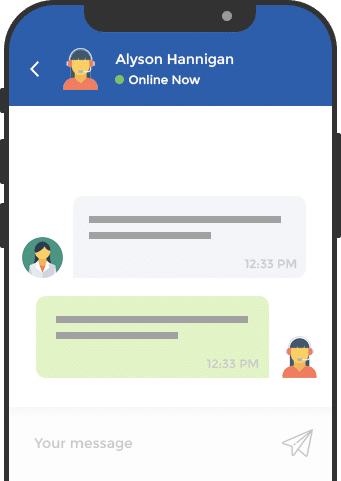 Chat messenger that fits the look and feel of your website or apps. Our live chat software lets you choose your color scheme and welcome message. 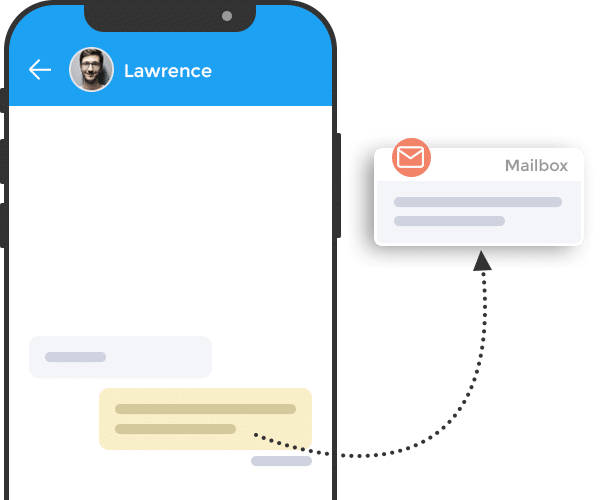 Customers dont have to worry about missing your team's reply. Customers can enter their email to continue the conversations via email. 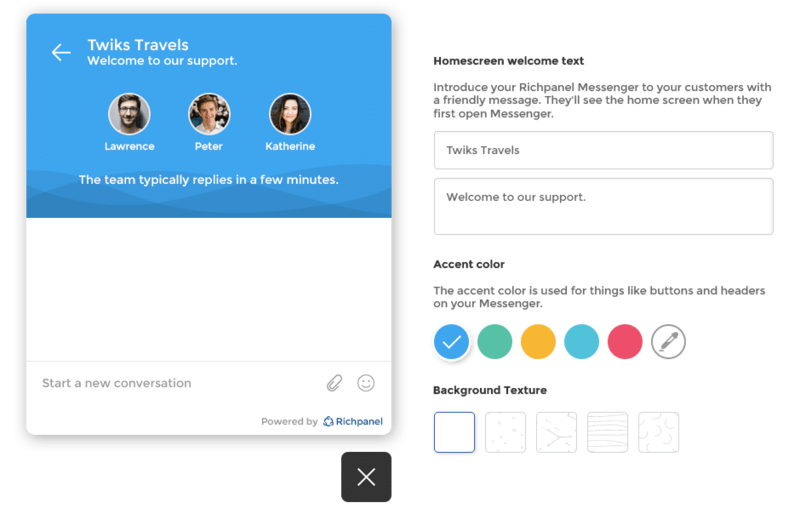 Our smart responder let's the customer know if your team is away and expected time of response. 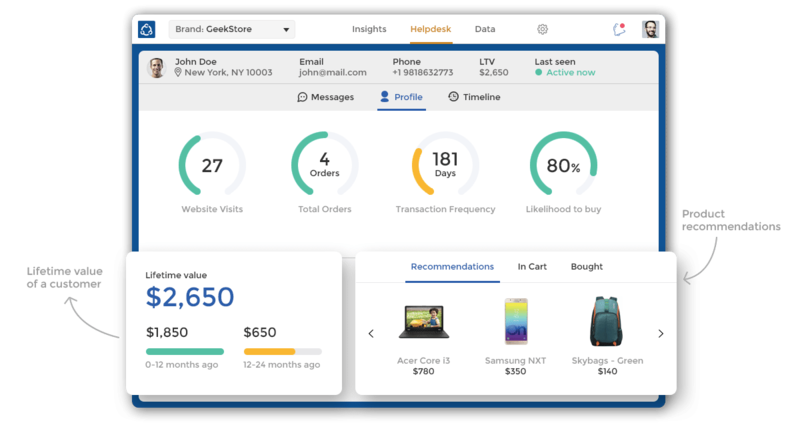 Automatically engage customers based on rules you set up. Eg: Send a message to customer if he is on the shipping page for more than 30 seconds. Truly get to know your customers. 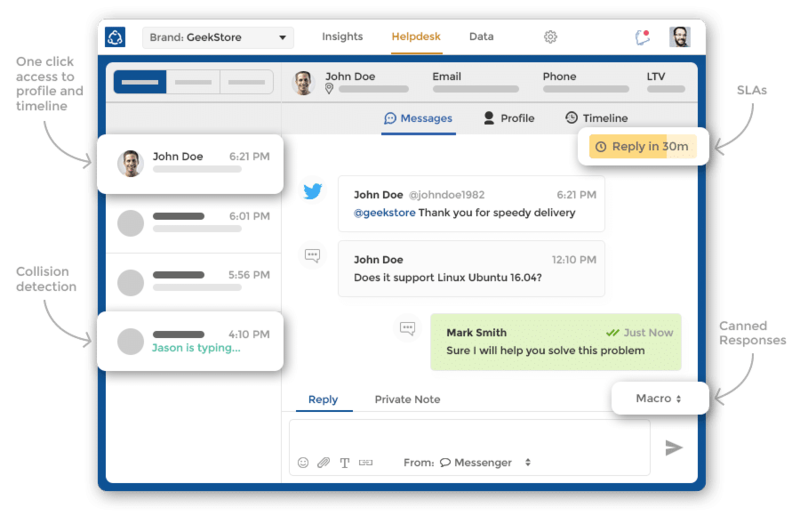 Manage customer tickets from email, social and live chat all in one place. Powerful collaboration features like private notes, assignments and canned responses.